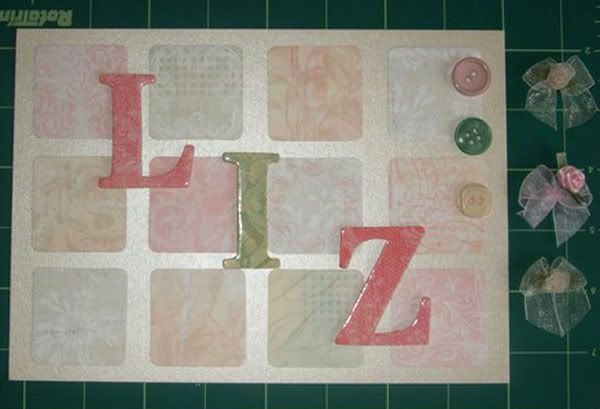 Made this one yesterday and it was going to be my entry for Kim's 2, 3 and 4 challenges, there is lace pattern on the letters and some of the papers, but then I made ATC's for that. I'm just not sure about this one, does it need something else? Re: Not sure about this one. Do like the colour combinations, Alison - but I think you're right about it needing something else (assuming it's a card? It would make a great idea as it is for a door or room nameplate). Maybe a flower, top right? Love it, but maybe a tiny little stamp on just a couple of those lovely squares? well i like it just as it is actually! I agree it needs a little something - not a lot though. I think the words This image or video has been moved or deleted need to be removed!! I think the name needs changing to Karelyn and it needs posting to me. Love it. I like it as it is, but if you think it needs something more, how about a bit of bling, a gem thingy in a couple of blank squares. I have found three buttons in what I think are the right colours but that was a 7am before I went to work, light is no good now to take a photo of them just layed on for you to see, but I will get DH to do one tomorrow while I'm in work tomorrow. Thanks for the help. This is it with the buttons laid on top right side. beside is three ribbon roses and bows that might suit, think its the buttons if anything. Definately the buttons. Just what it needs. Like the way the buttons tone in, Alison. I lke it as it is. 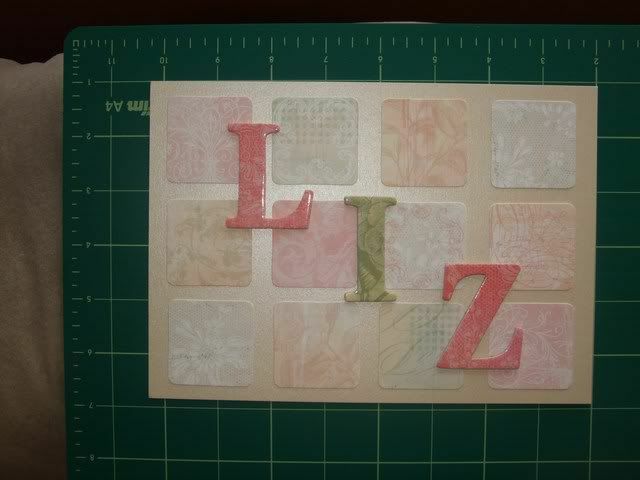 Could be a card, a hanging name plate. I think its lovely.